* Extra large size for maximum coverage—10% larger than our previous version. * Grime Guard fabric protects against moisture and dirt. * Adjustable upper and lower buckle attachments and elastic strap securely fastens kick mats to the seat back for a universal fit with a tailored look. 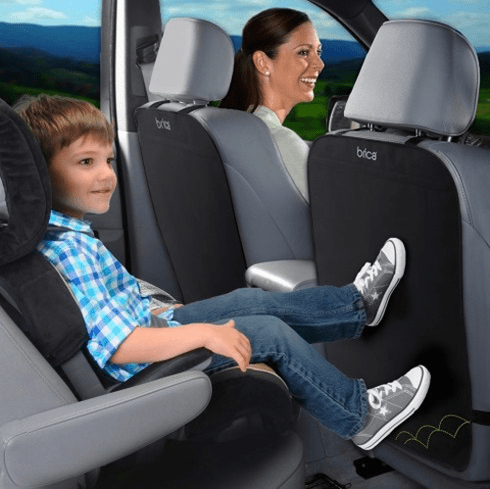 * Fits most minivan, SUV and sedan seats.